As leading suppliers of garage doors in Leicestershire, we pride ourselves on offering a positive experience for all our customers. We only supply quality doors from reputable brands, allowing you to purchase long-lasting doors that will still be working effectively for years to come. We can also arrange installation for you if needed, with an installation team who regularly work in and around Leicester. 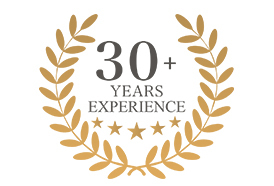 The Garage Door Centre - 30 Years of supplying and installing the complete range of garage doors, roller shutter, up and over and sectional garage doors, electric garage door operators and automated gate systems in all major towns in Leicestershire, Leics UK. Domestic and trade customers can take full advantage of our extensive product range. There’s something for everyone. When it comes to quality, we have rigorous processes in place to make sure the product that arrives with you is exactly what you’re expecting. Products are fully CE compliant and will last for years to come. Most of our garage doors have a 10 year guarantee. Want to know more about buying garage doors in Leicestershire? Then member of our team will be happy to advise you. 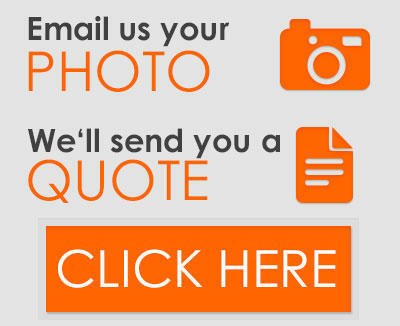 Please call 0800 525 442 or request a quote by filling in our form. With over 30 Years of Expertise and Experience! The couple who installed the door were extremely efficient, polite and most helpful. They should be congratulated on the quality of their work and attitude. The Garage Door Centre is an approved supplier and installer for a comprehensive range of garage doors, garage door operators and automated gate systems from all the major manufacturers. This lack of manufacturer bias enables the sales consultant to concentrate on the customer’s own requirements with total impartiality. • Type and price guides. • An introduction to garage door styles. • PDFs with relevant information about the doors available. • An experienced, friendly team. There will definitely be someone amongst us who can answer your question, no matter how complex. • A simple ordering process. Find our guide to ordering here. • Efficient delivery to any location you like. We regularly deliver our garage doors to customers in Leicestershire, including areas like Loughborough, Melton Mowbray, Thurmaston, Syston, Market Bosworth, Hinckley, Stapleford and Billesdon. Installations in and around Leicestershire are controlled from our head office, which boasts our longest established showroom in the UK. Our service is designed to meet everyone’s requirements, in full. You will find all the garage door styles you could ever need, as well as plenty of information about them. We can also offer installation if you would like this service, arranging a convenient appointment with one of our installation professionals who works in your area. Professional installation makes all the difference, so please just ask if you are interested. We have a showroom for you to visit. Come along between Monday and Saturday, and a member of our team will be here to show you around. You don’t need to book an appointment, please just turn up.